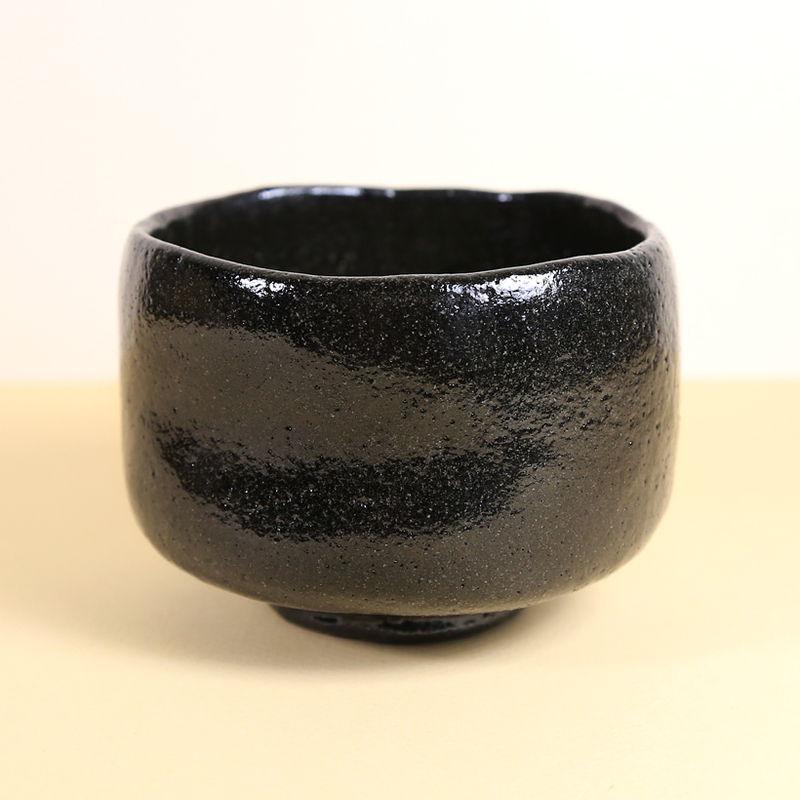 This raku tea bowl is a replica (utsushi) of one of Rikyu’s tea bowls that he named ‘Kazore.’ It is generous in size and has the warm, soft feel unique to Raku ware. Gently, subtle undulations in the surface of the tea bowl provides some texture for the fingers to discover and appreciate. 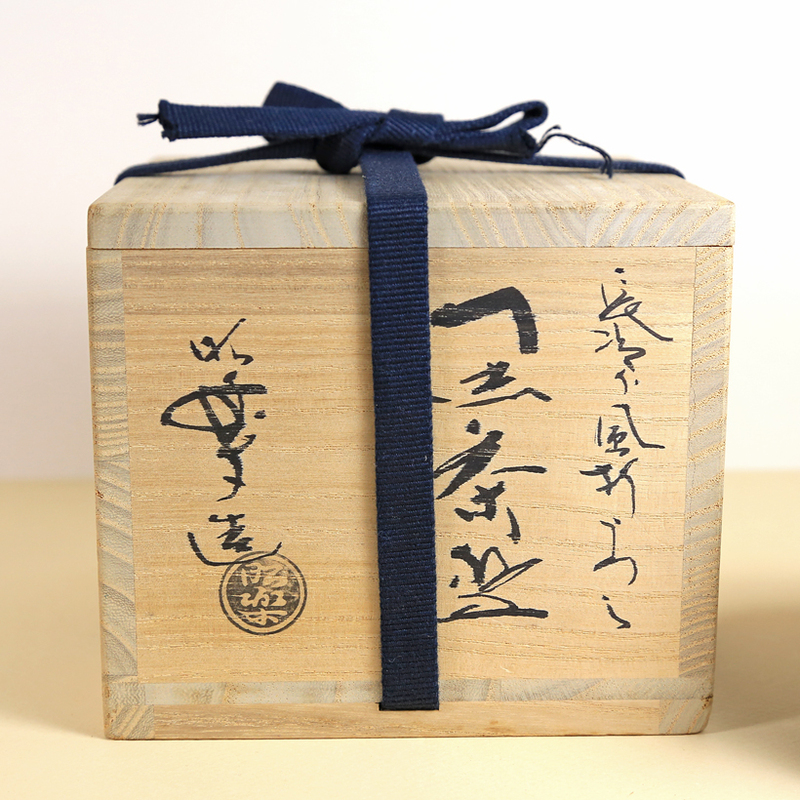 But the overall feeling of the tea bowl is smooth and confident and spare of decoration. 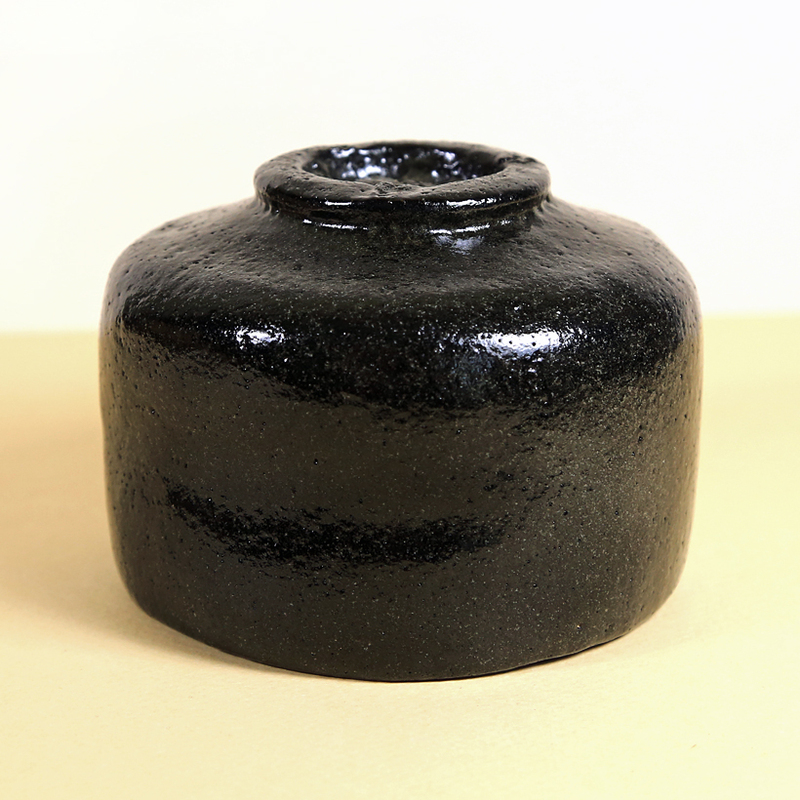 The thick, shiny glaze draws the eye from the foot-ring up thru the expanse of the side wall to the top of the bowl. The rim of the bowl curves inward ever so slightly.